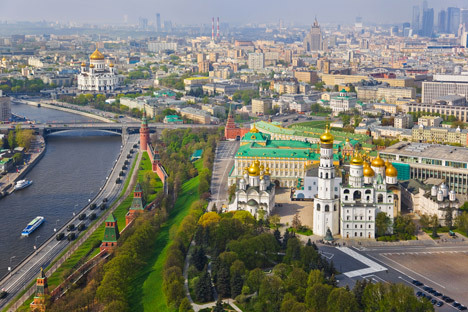 The Russian President suggested demolishing a Kremlin administrative building and restoring two Orthodox monasteries that were destroyed in the 1930s. Some raise concerns about changes in the Kremlin’s architectural synthesis. “For now, only the decision to suspend the renovation has been made. But for a demolition an agreement will have made with UNESCO,” Spokesman for the Office of Presidential Affairs Viktor Khrekov told RIR. The renowned architect Mikhail Leikin agrees with his colleagues, but provided an example of a successfully restored church – the Cathedral of Our Lady of Kazan on Red Square – in a conversation with an RIR reporter. The church in question was demolished in 1936 and rebuilt in 1990-1993.